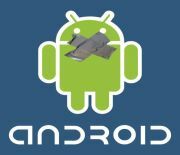 I ran across some interesting information detailing undocumented codes for many Android phones. You input the codes using the dialer to access phone features and information normally unavailable. The codes were obtained by decoding various .apk files present in the phones firmware. The website “Tweaking with Vishal” details a number of codes, some of which must be used with caution as they can modify functionality, delete data or alter firmware. Make sure you read and head the authors warning before entering the other codes. You can get a complete set of codes here. I lost network signal!! !I live in INDIA and have an unlocked xperia x10 of AT&T. After entering *#*#4636#*#* in my x10,i selected phone information,pressed the physical menu key on left of phone,than clicked “select radio band”. In that there was only option under the “set gsm/umts band” which read “USA band”. I selected that and instantly lost network signal. I live in india and the phone is of usa at&t unlocked. Now i am not getting signal. I tried to press the menu key again but it reads “usa band only”. Tried to manully select network,but no luck.How do i revert back to default settings? The guide *#*#4636#*#* Android Secret codes! Has several disclaimers warning users to use caution because they can modify functionality, delete data or alter firmware. The guide was written by Vishal Gupta at the link I provide in the story above, I’m not sure if the author could provide any insight into your problem but his twitter address is listed as @VishalGuptaMVP. Best of luck in resolving your problem! I wrote an app that reveals ALL secret codes on a given device. Also you can comment it or read what commented other users about codes.